Kolkata: West Bengal and the Union government are likely to spat over at least 450 acres of land in and around Kolkata owned by public sector firms controlled by the latter that the state wants for industrial projects. West Bengal needs to find land to house industrial projects and yet steer clear of controversies such as the ones at Nandigram and Singur where its land-acquisition drives ended in a disaster. It discovered that ailing public sector firms owned by Union government have 450 acres of land in and around Kolkata. 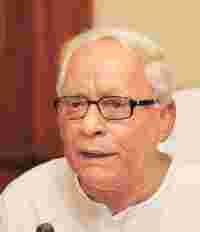 The state’s chief minister Buddhadeb Bhattacharjee had sought the intervention of Prime Minister Manmohan Singh to “unlock industrial assets" of the National Textile Corp. Ltd, or NTC,and the National Jute Mill Corp., or NJMC. In response, the Union ministry of textiles, which oversees both companies, had said that while the government was keen to sell the land assets of 12 cotton mills of NTC and six jute mills of NJMC to the state, it would do so only at the prevailing market price. The cotton mills have around 170 acres of land and the jute mills, at least 288 acres. No company would have been willing to pay the state government that amount for land, said a bureaucrat in the state’s commerce and industry department, implying that if West Bengal had acquired this land for industrial projects it would have eventually ended up having to transfer it to the company setting up the project at a price lower than its cost of acquisition. The state said as much in a letter to the ministry of textiles, but to no avail. “We did insist, but what can we do, if they don’t sell it to us? After all it is Centre’s property," said the principal secretary of West Bengal’s public enterprise and industrial reconstruction department, Sumanta Chaudhuri. Meanwhile, the Union government is getting ready to sell land belonging to four of the six jute mills and almost all 12 cotton mills to companies. The state will not make it easy for these companies to use the land for anything other than their stated purpose—industrial projects. Thus, companies seeking to use the land for residential developments will not be able to do so. “It is the Centre’s land. They can sell off the land to whoever they choose, and at whatever rate they desire, but they have no power to grant conversion of land-use rights, in case there is a change of purpose of use. For such rights, the private players would have to approach the state government," said a joint secretary of West Bengal’s land and land reforms department. The state’s Industrial Reconstruction department has already alerted all municipalities, corporations and local civic bodies against allowing land conversion rights to these companies, said another official of the industrial reconstruction department, who did not want to be named. West Bengal has had a dismal run in terms of its availability to acquire land for industrial projects. It had to abandon its efforts to acquire land for a special economic zone at Nandigram following protests by landowners. And while it managed to acquire land at Singur for a Tata Motors Ltd factory, the auto firm eventually decided to exit the state after sustained protests by the local opposition party, the Trinamool Congress.